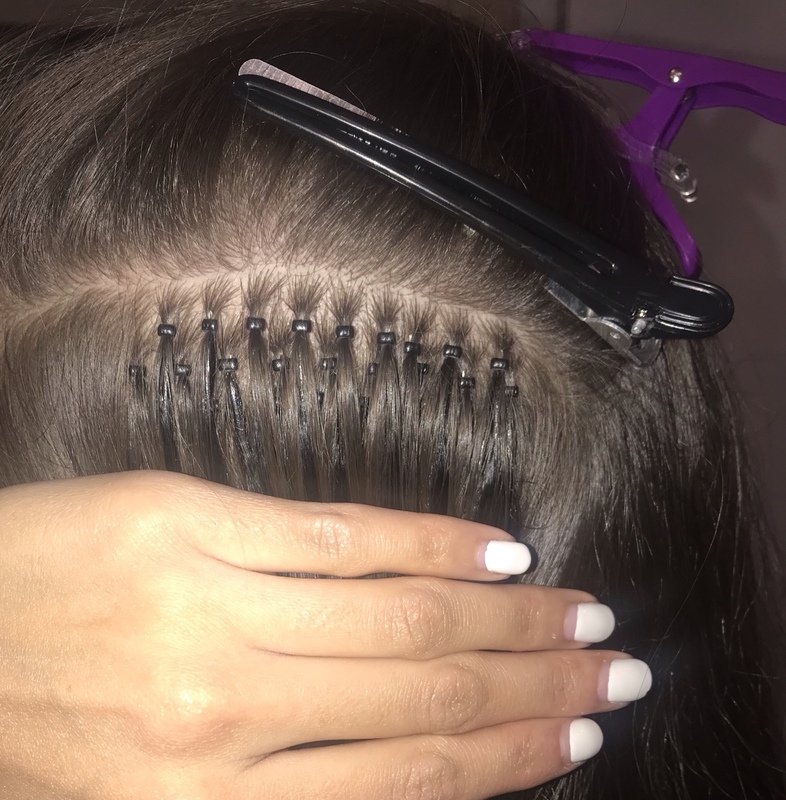 Hi everyone, so I have been practising nano rings on my mums hair and I was just looking for a few tips. Just wondering if anyone could tell me how they control baby hairs during application and how to ensure you have neat sections. I have a client lined up to come in for a consultation next week and it looks like she's keen to have nano's installed, I am a bit nervous as its my first client with nano's and I've been focusing on my LA Weave a lot recently. It is slightly risky the way your sectioning is, I can see the other hairs coming into the section, to eliminate this, you need to make a straight section, put a clip underneath the section you made so the section you made, lays on top of the clip. This ensures when you take another section, it wont go into the top layer or bottom layer, it will be accurate. You will find nanos harder on people with broken hair like blondes because the hair just is all different lengths at the root, or people after pregnancy 6 months later. Hi girls, I’ve been practising like crazy and I have my first client on Sunday...what do you think of these that I did with training hair on my friend? This looks great! Are you fitting a full head? How much hair are you using? I’m fitting my first this week too!! Yeah I’m nervous about placement too! I’m sure I heard somewhere you have to get 100 into the first 3 rows or something I can’t remember! Omg this is brilliant! you just proved practise makes perfection. So proud to see this!!!! It is like the most satisfying thing for a extensionist to see such well done sections and application. Thank you so much ladies, your messages really help me with my confidence.